Home Uncategorized With Chávez micromanaging the electricity crisis, what could possibly go wrong? 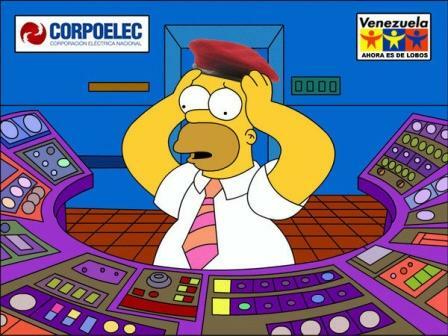 With Chávez micromanaging the electricity crisis, what could possibly go wrong? Well, if he didn’t own the electricity crisis before, he does now. In a virtuoso display of government-via-La Hojilla last night, Hugo Chávez fired the Electricity Minister for botching the emergency rationing plan in Caracas. Now that Angel Rodríguez’s less-than-three month old pagapeo-tenure at the Electricity Ministry is over, all plausible deniability has gone right out the window. Under these circumstances, where does the buck stop if the rains are late and Guri’s level drops below the dreaded 240 meter level, leading to a generalized failure of the power system in April or May?